From "Masked Rider Georgete" currently being broadcast, two types of "DX Ride Watch Set" appear. 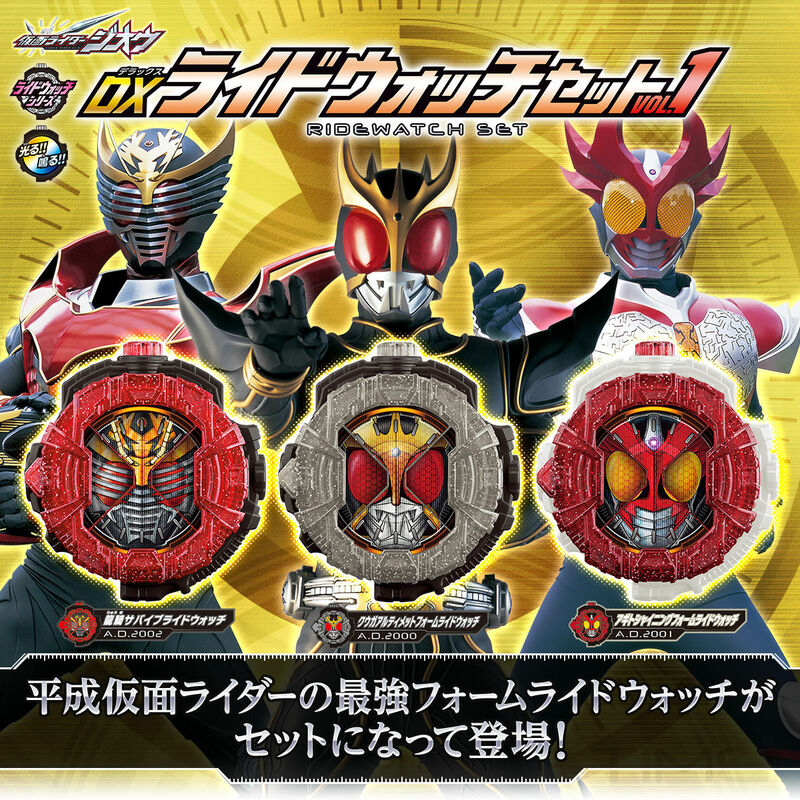 "DX Kuuga Ultimate Form Ride Watch" "DX Agito Shining Form Ride Watch" "DX Ryuki Survive Ride Watch" is set as "DX Ride Watch Set VOL.1" and "DX Faith Blaster Form Ride Watch" "DX Blade King Form Ride Watch "" DX Armor Hibiki Ride Watch "is set as" DX Ride Watch Set VOL. 2 "appeared! In single item play, when changing the cover the picture changes. When you push the button on the top surface, the LED emits light and the unique sound of each ride watch such as "Ultimate Power! Fighter Warrior! Kuuga Ultimate Form!" Is activated.